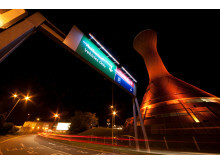 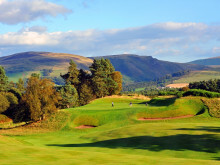 As the golfing summer in Scotland draws to a close with the Prostate Cancer UK Scottish Seniors Open at Archerfield this week, the country is celebrating an unprecedented 12-month period of being in the world’s spotlight, during which time more than 622,000 spectators attended golf events watched by hundreds of millions of fans around the globe. 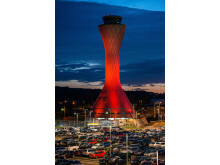 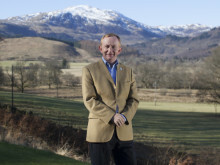 Members of VisitScotland’s golf marketing team are in Italy this week, leading a Scottish mission to Lake Como to enhance The Ryder Cup 2014 legacy and show the world why Scotland is endorsed as The Home of Golf. 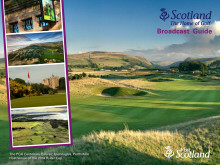 The Scotland, the Home of Golf Broadcast Guide has been designed to showcase the broadcast opportunities provided by Scotland’s golf courses. 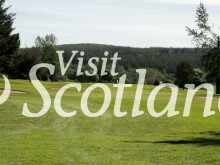 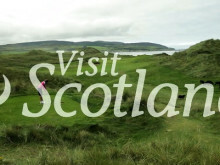 Through this guide you will not only find useful information on selected golf courses across each region in Scotland, you will also find an introduction to each region outlining exactly what makes its golf courses so special.